Mountain View is a city located in Santa Clara County, California, United States, named for its views of the Santa Cruz Mountains. From its origins as a stagecoach stop, it grew to a large suburb with a pedestrian-friendly downtown and a population of 74,066. The city borders Palo Alto and the San Francisco Bay to the north, Los Altos to the south, and Moffett Federal Airfield and Sunnyvale to the east. Situated in the southern end of the Peninsula in the San Francisco Bay Area, in the northwest corner of Santa Clara county, Mountain View is home to many high technology companies. In 1956, Shockley Semiconductor Laboratory, the first company to develop silicon semiconductor devices in what came to be known as Silicon Valley, was established in the city by William Shockley. Today, many of the largest technology companies in the world are headquartered in the city, including Google, Mozilla Foundation, Symantec, and Intuit. The original Byte Shop computer store was opened at 1063 El Camino Real, Mountain View, by Paul Terrell, and the first 50 Apple I computers were sold from that location. 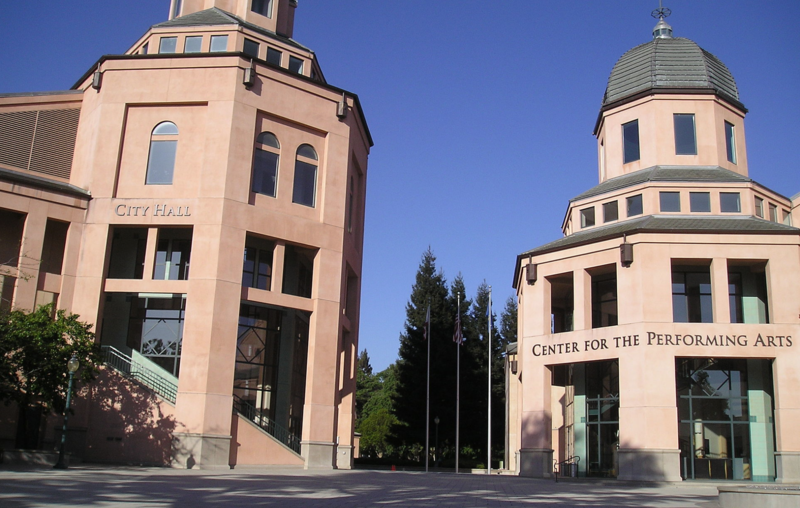 The Santa Clara Valley Transportation Authority integrates the city with the neighboring cities of Palo Alto, Los Altos, and Sunnyvale.